Grenade has launched fiercely into the UK market with their amazing fat burner which has quickly become one of the best weight loss supplements. 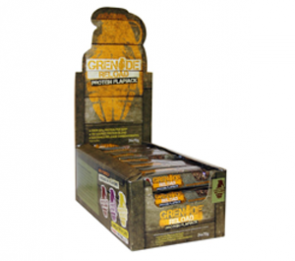 Grenade Nutrition are a fast growing, innovative sports nutrition company which has stemmed from the Grenade Thermo Detonator that is suitable for both women and men, athletes and general fitness enthusiasts. The Grenade Nutrition team have formulated this weight loss supplement using the most powerful and highest quality, legal fat burning ingredients. Resulting in Grenade being known worldwide for one of the most potent, effective and iconic fat burners currently available. Thermo Detonator could be your answer to the ultimate fat burner and help you to lose weight. Grenade Thermo Detonator not only helps burn fat, but also provides an increase in energy and enhanced mental focus alongside suppression of appetite. Help boost your metabolism whilst dieting as during any dieting programme, your body’s metabolism is decreased meaning that the amount of calories you burn will be less. Grenade Thermo Detonator can help against this by increasing your metabolic rate, along with the extra energy and mental focus. One of the major benefits is that Grenade will produce maintained energy levels, whereas other diet pills may not. Therefore, the combination of increased energy and increased metabolism with exercise potentially will result in even more fat burning. Get over those hunger cravings with Grenade Thermo Detonator which has added ingredients to suppress appetite. These ingredients have been clinically researched which act to release hormones that physiologically and psychologically suppress appetite. Thermo Detonator contains a unique blend of high quality ingredients that makes it a potent fat burner and also delivering explosive sustained energy without the jitters, cravings or crashes. Grenade Nutrition’s motto is “declare war on fat”. When used in conjunction with a calorie controlled diet and regular exercise routine, Grenade certainly will help you on your way! Just recently launched in May 2012 to the UK, is Grenade’s .50 Calibre! A hard hitting, pre-workout supplement that is designed to make every workout explosive and an energy fuelled assault! This pre-workout combines over twenty university tested ingredients in potent dosages to deliver outstanding energy levels, muscle pump, endurance and anti catabolic support. 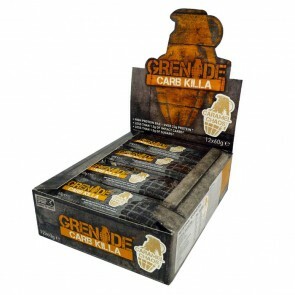 .50 Calibre from Grenade Nutrition is their answer for pre-workout ammunition. If Grenade’s fat burning supplement is anything to go by, rest assured that .50 Calibre should be just as awesome!